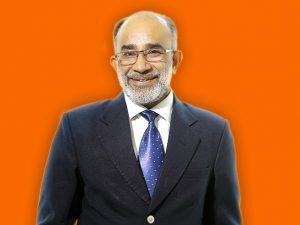 K J Alphons, Union Minister for Tourism has inaugurated the project ‘Development of Eco Circuit: Pathanamthitta – Gavi – Vagamon – Thekkady’ under the Swadesh Darshan scheme of Ministry of Tourism in the presence of K Surendran, Minister for Tourism, Government of Kerala at Vagamon in Kerala. This Eco Circuit project was sanctioned in December 2015 for Rs 76.55 crores. Major works carried out under the project includes Eco Adventure Tourism Park at Vagamon, Cultural Centre at Kadamanitta, Eco Log Huts at Peerumedu, Idukki, Approach Roads, walking trails, rain shelters at Pine Valley Forest, Thekkady, Kumily, Moozhiyar Dam, Penstock and Kakki Dam. Swadesh Darshan scheme is one of the flagship schemes of Ministry of Tourism for development of thematic circuits in the country in a planned and prioritised manner. Under this scheme the Government is focussing on development of quality infrastructure in the country with objective of providing better experience and facilities to the visitors on one hand and on other hand fostering the economic growth. The scheme was launched in 2014 -15 and as on date the Ministry has sanctioned 77 projects worth projects for Rs. 6131.88 crore to 30 states and UTs. 30 projects / major components of projects are expected to be completed during the current financial year, of which 12 projects worth Rs 1024.49 crore, covering the states of Manipur, Meghalaya, Nagaland, Arunachal Pradesh, Andhra Pradesh, Madhya Pradesh, Chhattisgarh Kerala and Sikkim have already been inaugurated. The Ministry of Tourism recognising the tourism potential of the state has sanctioned seven projects in Kerala under the Swadesh Darshan and PRASHAD schemes for an approximate amount of Rs 550 crores. 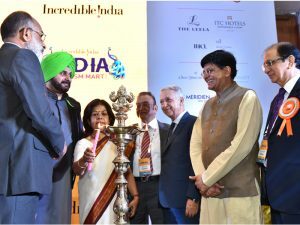 With around 250 foreign buyers and 150 exhibitors, the first-ever India Tourism Mart (ITM) 2018 was inaugurated by chief guest Piyush Goyal, Minister of Railways, Coal and Corporate Affairs, Government of India, along with Mohammed Sajid, Minister of Tourism, Air Transport, Handicraft and Social Economy of the Kingdom of Morocco, KJ Alphons, Minister of State for Tourism (I/C), Government of India; Navjot Singh Sidhu, Minister of Local Government, Tourism, Cultural Affairs and Museums, Government of Punjab; Kadakampally Surendran, Minister for Tourism, Government of Kerala and other officials. An increase of 11.39 per cent has been recorded in domestic tourist arrivals to Kerala in 2017, as compared to the figures of previous year, according to figures compiled by Kerala Tourism. Meanwhile, foreign tourist arrivals increased by 5.15 per cent during the period. “Travellers from across the globe arrived in Kerala in large numbers during 2017, and the growth has been recorded at 5.15 per cent compared with the figures of last year. This comes at a time when the tourism industry is suffering from adverse factors like enhanced GST rates and allied hurdles. 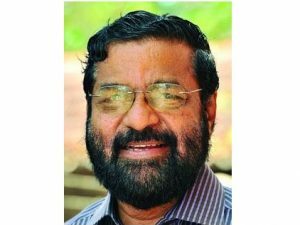 The growth figures point to the immense popularity Kerala Tourism enjoys beyond the borders”, said Kadakampally Surendran, Minister for Tourism, Cooperation and Devaswoms. 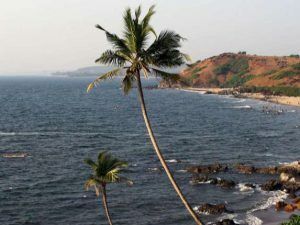 With growth almost doubling than that of last year, domestic tourist arrivals have, in fact, achieved more than what has been targeted in the Kerala Tourism Policy. On the foreign tourist arrivals front, footfalls have increased from 10,38,419 to 10,91,870. The figures point to the fact that there has been an increase of 53,451 more foreign tourists this year, with figures nearing 11 lakh. Following Phase-II of its promotional campaign, Department of Tourism, Kerala has planned to target Europe with a budget of Rs 7.5 crore. 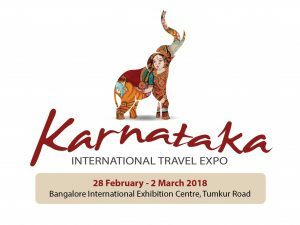 Kerala Tourism has planned to showcase diversified products across the European terrain to entice travellers and has been promoting the state as a preferred tourist destination across the globe. Highlighting the significance of the campaign, Kadakampally Surendran, Minister for Tourism, Cooperation and Devaswoms, Government of Kerala said, “Considering Europe’s top position in the list of high-potential markets for overall tourism growth, Kerala Tourism has activated a rigorous promotional campaign involving diverse products that have the capability to attract travellers from the European countries to Kerala.” Highlighting the growth of state tourism, Rani George, IAS, Secretary, Tourism & Culture, Government of Kerala stated, “Through this promotional and marketing campaign, Kerala Tourism aims to double the foreign tourist arrivals and increase domestic tourist arrivals by 50 per cent, by 2021.” Under the promotional campaign in Europe 2017-18, Kerala Tourism has planned to utilise all forms of promotional tools under various categories, including television campaigns (Rs 3.5 crore), Out of Home (OOH) campaign (Rs 2.5 crore), Consumer Travel Mart (Rs 1 crore) and Kerala Blog Express (Rs 50 Lakhs). The Tourism Department of Seychelles has launched a new leaflet providing tips to hikers, especially tourists, keen to explore Seychelles’ walks and trails. 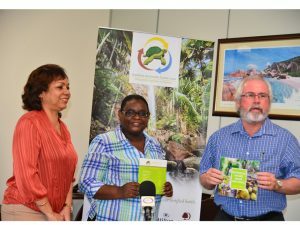 The leaflet has been produced by the Risk Management Section within the Tourism Department, in collaboration with other partners including the Seychelles National Parks Authority and Seychelles police. Minister for Tourism, Civil Aviation, Ports and Marine, Maurice Loustau-Lalanne, said, “This goes well with the Seychelles brand as the country is a champion of a clean environment and when we engage in activities such as trekking this also helps us to maintain a healthy lifestyle.” The leaflet is available on the Tourism Department’s website. Physical copies are also being distributed to the various stakeholders including the tourism establishments, SNPA, police, tourist information office, among others. It has taken around five months to produce the document. The leaflet also has a list of essential numbers to be contacted in case of emergency. According to Chief Superintendent Sean Jacklin, the police records at least one incident of tourists being lost on trails every two months, but they are usually provided with assistance within 12 to 24 hours. The Seychelles National Parks Authority is also collaborating with the Seychelles Tourism Board to design a smartphone app, which will present the new Seychelles Hiking Guide launched by STB in a digital format, also allowing hikers to access a host of other features. The Department of Tourism, Government of Kerala in association with Association of Tourism Trade Organisations (ATTOI) will host the International Conference on Tourism Technology (ICTT) in Kochi. 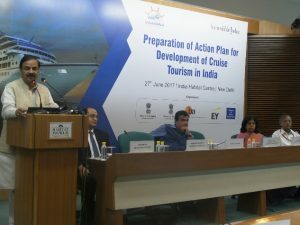 The three-day long event that will begin on June 8 will be formally inaugurated by Tourism Minister Kadakampally Surendran on June 9, and it will address the challenges related with technology faced by Indian tourism and hospitality industry. 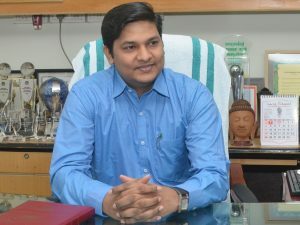 The inaugural function will see a string of high-profile attendees, including Hibi Eden MLA, Dr Venu V, IAS, Principal Secretary, Department of Tourism, and P Bala Kiran, IAS, Director, Department of Tourism. Dr. Venu will launch the twitter campaign #Kerala #IndiaForBeginners and Shri Bala Kiran will launch the Facebook campaign during the inaugural ceremony. “Kerala Tourism has always been a pioneer in taking significant steps to promote state tourism and support the growth of the tourism industry. This conference on tourism technology is yet another initiative undertaken in association with ATTOI. Keeping pace with the technological advancements also helps in reaching out to international tourists by being easily accessible through social media platforms,” said Minister for Tourism, Kadakampally Surendran. “Kerala Tourism, with its new tourism policy, is preparing for a big leap in promoting responsible tourism that benefits the visitor as well as local communities. The government is confident that the progress of the state through tourism is unfinished without the idea of inclusion in terms of increased participation of the community in general,” he added.